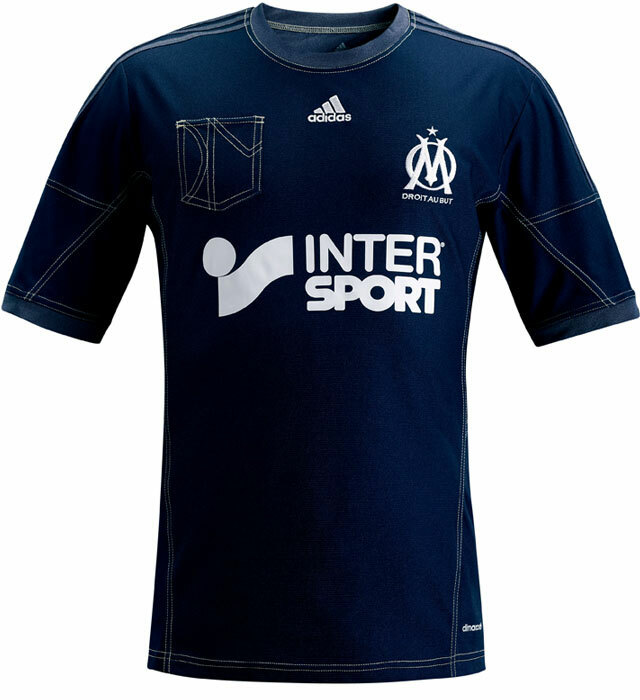 As we’ve already seen with AC Milan’s hideous new third shirt for 2013/14, Adidas are currently dilly-dallying with the concept of introducing totally redundant pockets to a few of their new shirts, but their design for Olympique Marseille’s new third shirt is beyond the pale. I actually think this strip looks pretty good on. Especially the dark grey three stripes. The pocket is still a bit odd though. What is is with Adidas and pockets lately?